In this video, Dr. Huntoon discusses the biggest health concern we have in our country. He also addresses what you should consider when making your health choices and offers you a unique opportunity you do not want to pass up on. Why would you choose to be a patient at Advanced Alternative Medicine Center? Because Dr. Huntoon is dedicated to working for you and not your insurance company. When your health is a real priority and you'd like to avoid the toxic medications and harmful surgeries known to have negative effects, consult with Dr. Huntoon. You have nothing to lose. 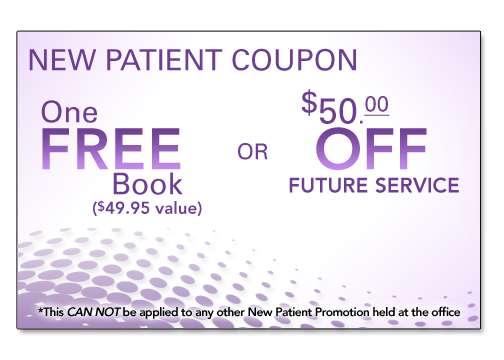 It entitles the presenter to ONE FREE BOOK* after your Initial Visit with Dr. Huntoon. * To qualify for the ONE FREE BOOK you must attend ONE FREE Health Care Class, which are held every Tuesday evening at 6:30 in the Pooler, GA Office. Click here for a list of classes. YOU PRINT This Page by clicking on the Coupon and then click "Print." Then proceed to the New Patient Forms and download and print each of those 5 different forms.